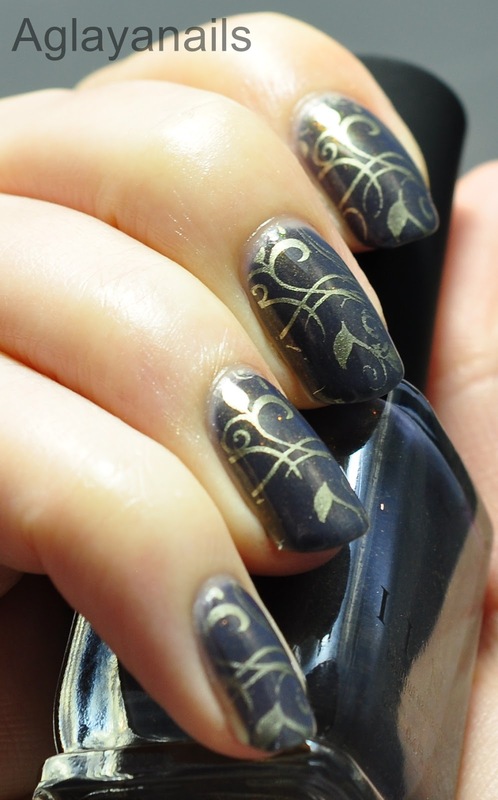 Some neutral colors for today. 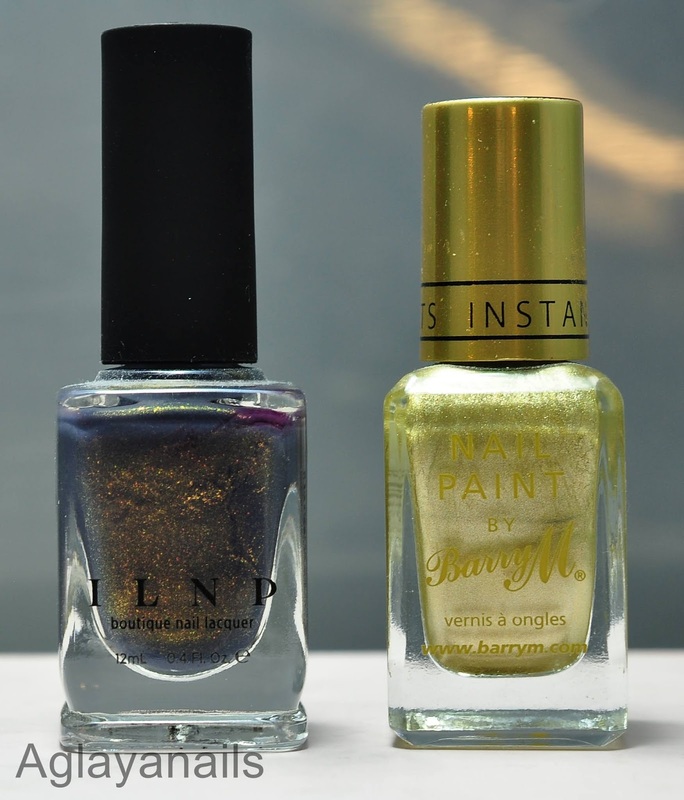 I started with three coats of ILNP The Boulevard, a grey-ish taupe polish with intense gold shimmer. 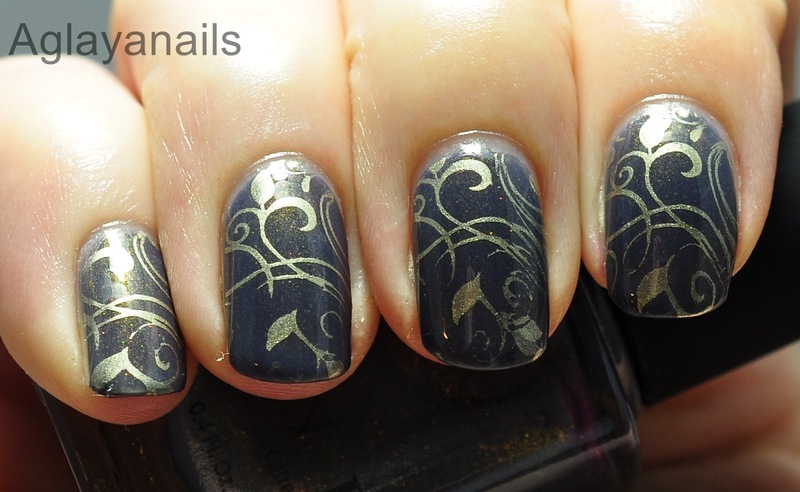 For the stamping I used Barry M. Gold Foil and ÜberChic plate 1-01. 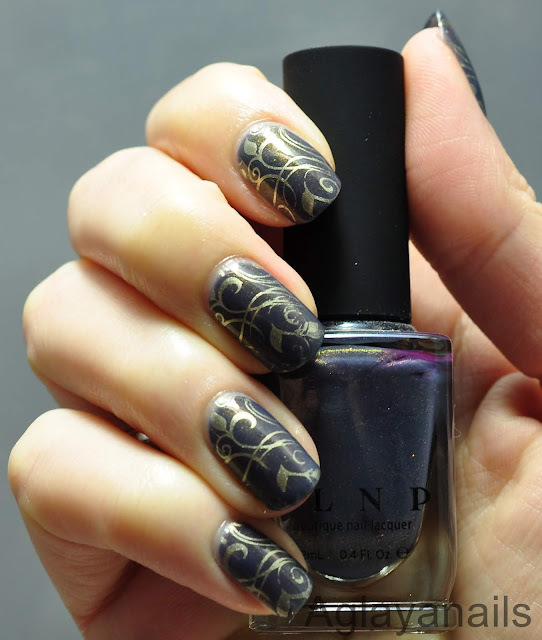 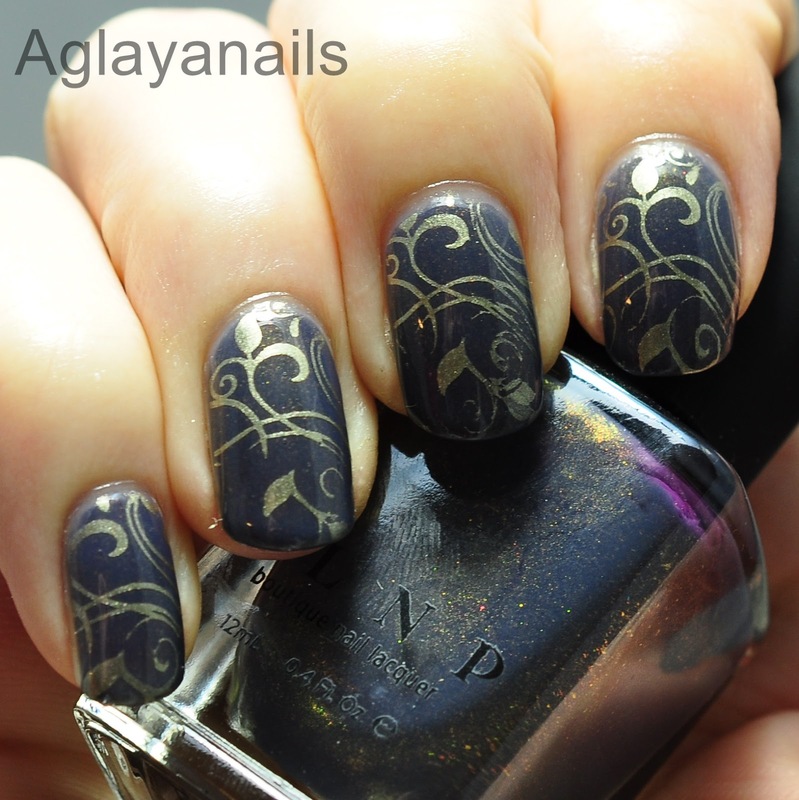 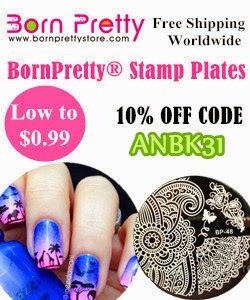 One coat of KBShimmer Clearly On Top protected the stamping.